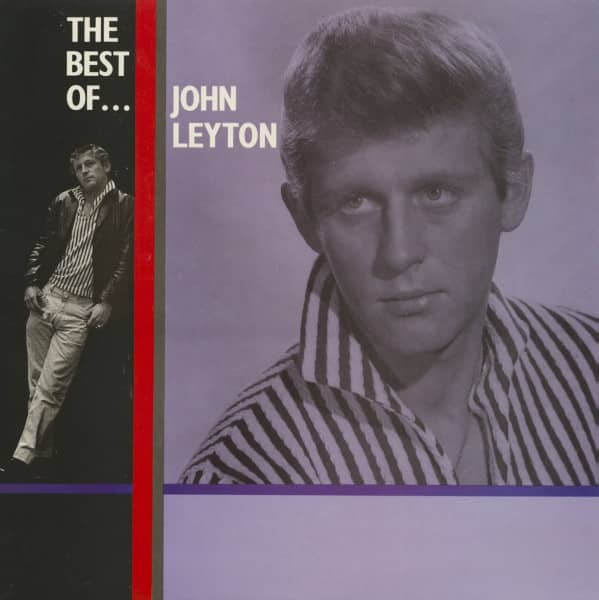 born John Dudley Leyton in Frinton, Essex, on Feb. 17, 1939, was another actor who turned to singing by chance. He played Ginger in the ATV Biggles series and then Johnny St. Cyr in another TV series, Harper's West One which is where he got his first chance to sing 'Johnny Remember Me' and which led to the record's success in 1961. 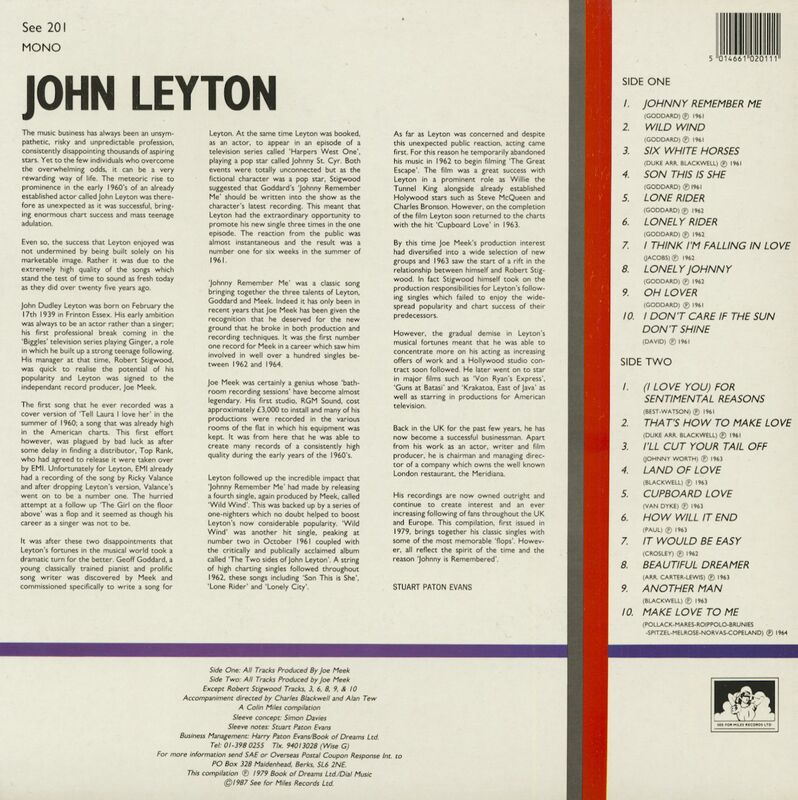 It was expertly produced by Joe Meek and featured an echo effect that masked the inadequacies of Leyton's voice. His other records were all remarkably similar and the public quickly tired of him. Written by Geoff, Goddard, they were 'Wild Wind', 'Son This Is She' and 'Lonely City' in 1962. He later returned to acting and appeared in The Great Escape (1963), Von Ryan's Express (1965) and Krakatoa (1968). Possibly his only lasting claim to fame was that he was one of the first artists to be handled by Robert Stigwood, later to find his fortune as the producer of Jesus Christ Superstar and owner of RSO records. Customer evaluation for "The Best Of... (LP)"